Hooray! 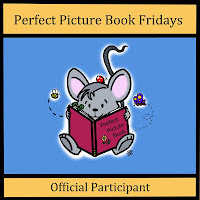 Perfect Picture Book Friday is back after a summer hiatus! What a fantastic resource this is from children’s author Susanna Leonard Hill. If you don’t know what it’s about, don’t delay– check it out now! Awards: This book won a Caldecott Medal. Yes indeed, and deservedly so. Why I Like This Book: I’m not sure what it is about this book that brings me back to it again and again. Is it the fact that the kitten is just too precious (read: almost unbearably cute) for words? Is it the brilliant, but spare prose that is at the same time rhythmic and full of emotion? Is it the pure black and white (and shades of gray) illustrations? Is it the cadence that reminds me so much of Harold and the Purple Crayon? Those who know me know I just LOVE children’s picture books (well… ALL books, really. But if I had to live on a deserted island and could only pick ONE type of reading material to bring with me, it would be KidLit. And I “kid” you not!) It’s why I volunteer at Ian’s school library… why I wanted to help his teacher sort books in her classroom yesterday… why I can spend hours in a bookstore. 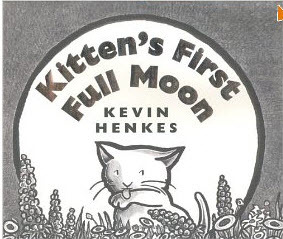 Anyway, I digress… what I mean to say is that Kitten’s First Full Moon is definitely one of my Top 10 favorite picture books. I absolutely love, love, love this book! This is such a beautiful book. It does bring a person back, doesn’t it. Kevin Henkes has a way of doing that! 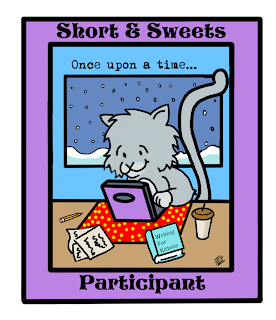 Penny, congrats on being runner-up for the SCBWI grant! Oh, I love Kevin Henkes! Great recommendation. Kevin Henkes is one of the greats in children’s literature. Thanks for the reminder about this book! I am amazed it has taken us so long to highlight this one for PPBF! It is a classic and so deserving of the Caldecott medal! I love the innocence of this story! Such a beautiful book for kids. Like Joanna, I’m surprised no one has reviewed it. It’s a classic. The innocence is what touches me. Great choice. I love this book! 🙂 Great pick for PPBF! As soon as I see the name Kevin Henkes, I know I’m going to like the book — but how have I not heard of this one before? I’m wondering if a good activity would be simply to talk with kids about wanting to do things and how sometimes it seems as impossible as reaching the moon, but we need to keep trying. ? I’m with Beth. Surprised I haven’t heard of this before. Thanks for adding it to the list. I’m always being introduced to some classic and new finds through PPBF.